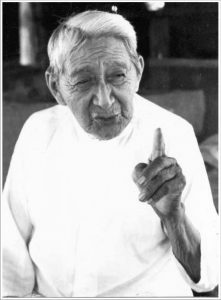 Jacksfeet and Tranquility have come together to offer you this training in the ancient techniques developed by Rosita Arvigo from Maya Tradition taught to her by Don Elijio Panti, recognised as one of the most important healers ever to have lived in Belize. Rosita is the first person to teach these techniques throughout the world and The Arvigo Techniques of Maya Abdominal Therapy® is the first to train and educate us in how to care for ourselves through abdominal massage and the other modalities used in this therapy. This 2½ day course is packed full of knowledge, inspiration and fun, learn about how your body works in relation to how this work helps to keep it healthy. Learn the Maya Abdominal Massage, the other modalities - the Faja, V Steams, Castor oil packs and more, that you can use on yourself. Who: This course is for anyone who wants to take care of their health, literally in their own hands. By learning the Arvigo Techniques of Maya Abdominal Therapy®, you can stimulate the circulation and blood flow within the abdominal area. Supporting the body for optimal function of digestive and fertile health and wellness. No previous experience or knowledge required. Why: If you suffer from digestive, reproductive, uterine or prostate problems. You are wanting to learn how improve your health, and understand what is going on in your body. Or wanting to become an Arvigo® Therapist this course is for you. What This course brings alive ancient lost wisdom and knowledge, Rosita Arvigo has studied with renowned healers and midwives in Mexico and Belize since the early 1960’s. 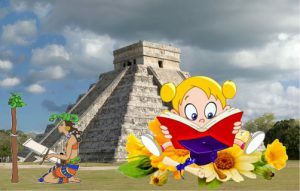 She has developed this 4,000 year old Maya knowledge into this profound world wide practiced therapy, keeping the teachings of her elders alive. Her practitioners and teachers are passing this knowledge on without loosing its purity. 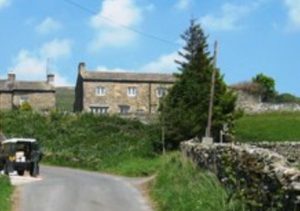 Where The course is being held in the little village of Sedbusk in the heart of the Yorkshire Dales, Wensleydale to be precise. The nearest shops are in Hawes, recorded as being a market town since 1307 (the highest Market Town in England 850ft above sea level). White house is a typical Yorkshire long house which once would have been a one up one down house with barns attached, it has some original features. The setting is ideal for a learning retreat, beautiful views, walks, good food and fresh air. Come and join the fun at Jacksfeet & Fringez n Freckles, Jac and Carol have been busy making Easter chicks, calling them Fringez (dad); Freckles (mum) and Jac (chick). We are open Good Friday as normal but shut Saturday; Sunday; Bank Holiday Monday and Tuesday. so if you are wanting a treatment or a hair do for Easter come in and get yourselves book in. Jacksfeet has been invited to take part in the Sneinton Street Market Event that will be held every 2nd Saturday of the month, starting from the 14th April 2018 to October. Choose from Jacksfeet’s selection of treatments there will be one for you! Jacqueline always has you and your needs in mind when giving a treatment and no two are the same; because each time you receive a treatment from Jacqueline your needs will be different. Arvigo® Self Care Level 1 Training is a 2½ day course filled with knowledge, information, fun, laughter and sharing. A 2½ day course filled with 4,000 years old knowledge, fun, laughter and sharing. Where : in the comfort of your own home, where baby and yourself can be relaxed and at ease. When : Pick a few dates and let Jacqueline know when they are, then we can arrange a date that suits us both. This training is meant for parents or carers, to use on their own child only; it does not qualify you to practice professionally or use these techniques on anyone else’s baby. Successful Students Mervi has gone on to do her Professional Level 2 training and is now practicing in Finland The Arvigo Techniques of Maya Therapy®. Yingli is continuing to use the Arvigo® self care abdominal massage on herself and getting great results. Join Jacqueline and the others who have already booked on and learn the techniques that are going to help improve your health and supporting the body for optimal function of digestive and fertile health and wellness. To Register: Go on line to www.arvigotherapy.com. Next click on United Kingdom and apply. Next click on Jacqueline’s course. Fill in the form, it asks for $98.00, click add to cart that’s where you put in your bank details to pay the $98 USD this is a non refundable fee, which covers the class registration & a tithe to support the Ix Chel Tropical Research Foundation and the Traditional Healers of Belize.